By law, new homes can no longer use long lasting chemicals to guard against chemicals-steel house framing offers you the best and most cost efficient solution for protecting your home. In the Past new homes were protected from termites by protecting the soil underneath the building with organochlorine compounds. Although this method was effective in poisoning termites research has shown that other organisms including mammals have been harmed by these methods. Due to the risk to families & the environment, the use of these chemicals was banned in all Australian states and territories from July 1st 1995. Other options for the protection include the use of different chemical compounds, or installing Costly physical barriers in the home such as wire mesh or finely crushed stone. However these approved chemicals require regular reapplication and as above physical barriers are costly. This leaves the only commonsense method for structural protection of the home being the use of materials that are impervious to termites, that is termites wont eat them, enter STRUCTURAL STEEL FRAMING (PalmerFrameâ PalmerTrussâ). 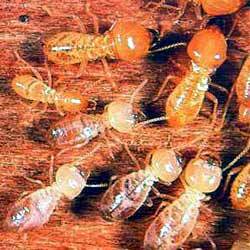 Protecting the structure of your home from devastation of termite invasion is vital to maintain its strength, safety and overall value. 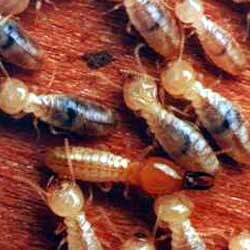 Without protection ,termites can cause major damage to in a very short space of time, damage that can be very costly and difficult to repair. If you decide to sell your home and a pre-purchase inspection reveals termite damage , potential buyers will be reluctant to purchase the property at its full market value. Use of poison not required with steel. Due to the simple fact that termites or borers cannot eat steel, using poisons is not be required when your house is built with a steel frame. The insects will have no reason to stay at your place. Responsibility now the home owners. 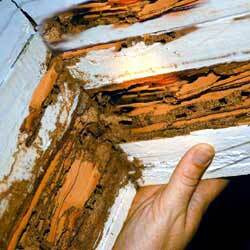 It is your responsibility to ensure your home has long lasting protection from termite attack. Complete protection is simply a matter of making the right choices-to save money, time and keep your family safe from toxic chemicals. PalmerFrameâ PalmerTrussâ provides permanent protection for your homes structure from termites and borers. Choosing a PalmerFrame steel frame for your new home will give you a future free from complications. The frames never twist or shrink(Great fro owner builders where the structure my be exposed for a greater period of time),they cannot burn, termites or borers cannot eat them and the corrosion protective coating has a minimum service life of 75 years and is guaranteed by the Big Australian BHP Zincalumeâ. Steel is among the strongest building materials available. When you choose PalmerFrameâ your choosing piece of mind. Lower Premiums on the home. Insurance companies recognize the benifiets of steel framed homes have against termites,fire,weather damage and warping, and may offer special reduced premiums on these homes.